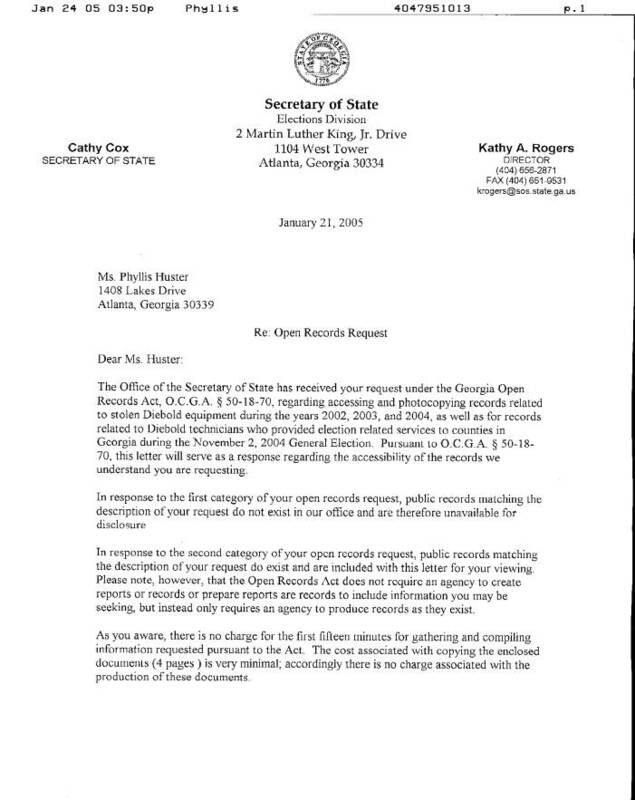 OK, So let’s get this straight, ‘public records matching the description of your request do not exist in our office” … so basically, there was stolen Diebold equipment but we have no information about it…….Hmmmm…… I guess keeping the Diebold machines secure is indeed a MYTH rather than a fact as outlined in the SOS Office Myths and Facts Document? MYTH 1: Electronic voting systems are inherently insecure and vulnerable to fraud. FACT: In Georgia, all voting terminals are always under the physical control of election officials, who follow strict protocols to assure the equipment is secured against undetecteable access. 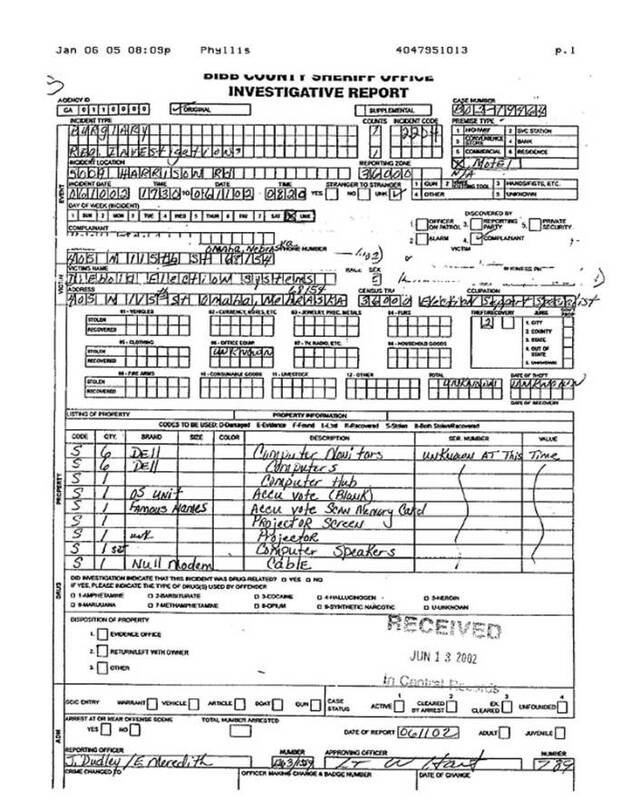 ***** ACTUALLY, it looks like not all voting terminals are under physical control of elections officials in Georgia and in the case of this police report listed, it appears there is not even an interest in the SOS Office to investigate or further understand the impact this might have on invalidating a Georgia election.